Over the years, my trainers pushed me to add more protein and complex carbohydrates to my diet. First they suggested oatmeal to add more whole grains and naturally reduce cholesterol while adding fiber. They also suggested adding a couple eggs, a couple low fat sausages or even low fat turkey slices as well. But who has time to cook? Grandma let us add brown sugar, raisins, vanilla extract, cinnamon, maple syrup, butter and/or milk to our oatmeal, so it didn’t taste like cardboard. Does that remind you of anyone? If you have a “slow” metabolism type, your BNA probably suggests that you cut out processed-sugars and saturated dairy fats, making it hard to make your oatmeal taste like “Grandma’s.” I just might have a “savory” trick for you that takes 5 minutes to cook and goes from sugary sweet to protein rich tasty. My ability to not burn water started while standing on a chair in my mother’s kitchen at about 5 years old. I later worked my way through college as a lead line cook and sous chef, prior to earning degrees in chemistry and business administration. I prefer steel cut oatmeal to rolled oats and for the past year have been using Coach’s Steel Cut Oatmeal, because it only takes 5 minutes to cook. Steel cut oatmeal cooked in water provides 160 calories with 27g carbs, 3g fat and 6g protein per 1 cup serving. Two large eggs add 140 calories with 0.7g carbs, 9.5g fat and 12.6g protein. Long before I started working with Dr. Tefft in 2017, I was already adding vanilla extract and cinnamon to my oatmeal to eliminate sugar. I often ate either a couple hard boiled eggs or cooked eggs separately to add protein. Probably like you, I didn’t always have time to cook and clean up. Then it struck me, why not cook my eggs in the oatmeal mixture as it’s one less pot to clean? And then, why not try a non-salt seasoning mix that works with eggs, chicken and pork dishes instead of the vanilla and cinnamon? How about a little black strap molasses to add magnesium? Voilà! A savory oatmeal with soft cooked eggs in just over 5 minutes. For my palate, I find that runny egg yolks and the seasoning adds a terrific rich flavor for those who remember boring oatmeal. Who needs sugar, butter or milk to make oatmeal taste good? Increase the number of eggs or add egg whites to increase protein content and calories. 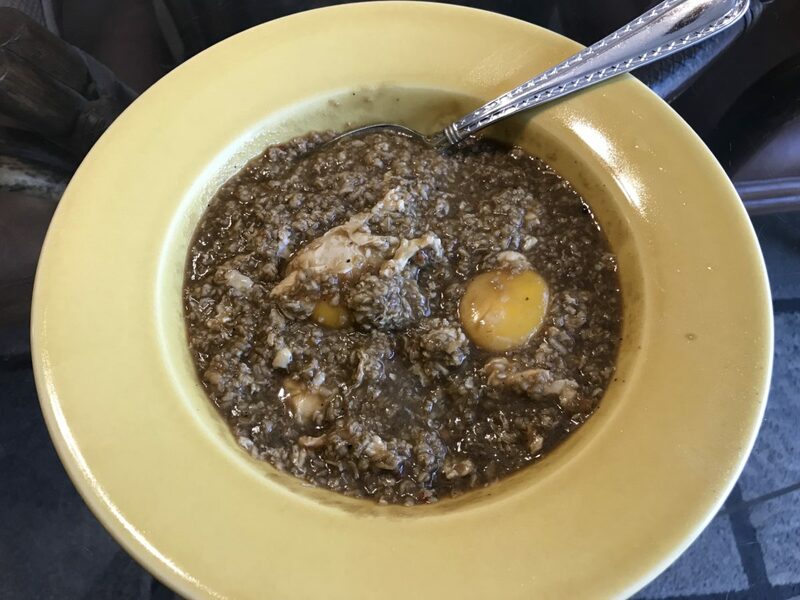 While not normally a fan of fried eggs, I find runny versus cooked-through egg yolks enrich the flavor and texture of the oatmeal as I spoon up the golden goodness. 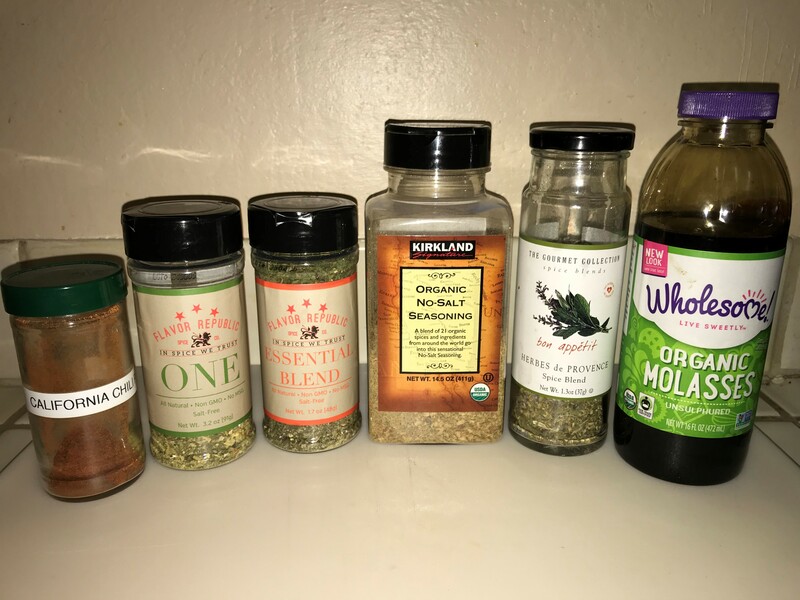 I find the Kirkland Seasoning is a little stronger and naturally sweeter, as you try to find your favorite seasonings. You can experiment with Herbs Provence, Chili Powder and a little Cayenne Pepper, if you don’t have a favorite seasoning handy. If you have herbs in the garden, I’ve used fresh thyme, oregano and rosemary too. If you don’t need the added magnesium, you can cut 11g of carbs to get you closer to the 40% protein, 40% carbs and 20% fat ratio, and it still tastes great without the molasses sweetness. Don’t be afraid to experiment as I’ve added sunflower seeds at times too. Food is supposed to taste good to you! Learn more about which specific foods you should eat to rebalance your vitamins and minerals by referring to your BioCorrect Nutrition™ Analysis (BNA) report or order your BNA today. The BioCorrect Nutrition™ Analysis is a medically-proven, clinical laboratory test that measures 36 trace and toxic minerals in a patient’s hair sample; which correspond to an individual’s biochemical and metabolic status. With these test results; a personalized food and supplement plan can be designed to safely biocorrect each person’s unique biochemistry into metabolic balance by eliminating the excesses and building up the deficiencies.